Founded in 2014, Netki is a Los Angeles based financial technology company developing Open Source and Open Standards based Digital Identity solutions that allow financial service companies to meet regulatory compliance requirements and legal non repudiation on both public and private blockchains. Netki’s Digital ID and Wallet Names make blockchains safe for a broad range of business and personal use cases, while meeting national and international legal standards. Netki’s Digital ID provides automated customer onboarding and validation, alongside easy sharing of digital identities, thus closing a critical compliance gap that limits blockchain innovation and adoption. Netki’s Digital ID service captures an individual’s documents and biometrics via smartphone, along with multiple levels of verification — including database checks, machine learning and biometric analysis. Netki’s onboarding also addresses a broad range of Know Your Customer (KYC), Anti-Money Laundering (AML) and customer privacy requirements. The Netki Digital ID works across both private and public blockchains, and can be embedded into a variety of finance, healthcare and business applications. Netki’s Wallet Names make digital currency easier to use for consumers and enterprises through personalized, memorable names instead of complicated 32-character wallet addresses. Similar to domain names, Wallet Names provide users with a way to tie their digital currency address to a single Wallet Name like frank.bankname.com. Wallet Names have built-in support for HD wallets, and do not record any identifying information on a public ledger/blockchain. The Netki Wallet Names are blockchain agnostic and work with any public or private blockchain, enabling enterprises to use their own branded domain and ensuring the privacy of their customers. Netki works globally with major business and technology partners to drive mainstream adoption of blockchain and digital identity, including Bitso, Bitt, IBM, Microsoft, PwC Australia and others. Netki is an active participant in IBM’s ecosystem around the Hyperledger Project, an open source collaboration including leaders in finance, banking, IoT, supply chain, manufacturing and technology, hosted by The Linux Foundation. Netki is the Identity provider for PwC Australia’s Digital Asset Services, designed to make blockchains more interoperable and accessible to large institutions. 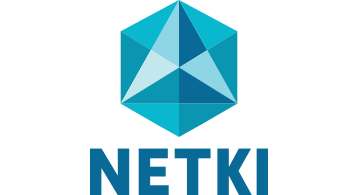 Netki believes basic protocols should be universally accessible, and the company actively contributes to various open source projects. Netki co-authored a new peer-to-peer payment protocol (BIP75) that allows senders, receivers and their financial partners to exchange all four identities via a private encrypted channel. BIP75 provides a critical foundation for compliant blockchain transactions and is publicly available as an open source protocol. Netki was founded by Internet technology veterans who believe in the power of open, permissionless networks to change the world. Investors include O’Reilly AlphaTech Ventures, Colle Capital, Digital Currency Group, Plug and Play, The Husseini Group, Bitfinex and Base Ventures. Justin is an early Internet pioneer and technology startup veteran. His last four companies (Blackline Systems, Demand Media, NetZero and AboveNet) all exited with $1B+ IPOs. He was responsible for architecting each company’s platform for global scale and preparing their data systems for Sarbox compliance. Justin also founded The Internet Service Provider’s Consortium (the first trade association for ISPs) and served as its public policy director. Justin serves on the board for Adra Software and has been an advisor to more than a dozen startups, including Alcatel, Citrix and Juniper Networks. Dawn is a technology startup veteran with 20+ years of experience building teams and managing complex operations. She built the global support operation at NetZero (now United Online), and previously managed technology teams at Microcom (acquired by Compaq) and InterAccess (acquired by Allegiance Telecom). Dawn is an active speaker and advocate for women in technology. She was recently named one of L.A.’s Women of Influence by the Business Journal, and one of the Power Women in FinTech by InnoTribe. Dawn serves on the boards of BitGive and Threshold Foundation.